Researching a contractor and making sure they are reputable can be a task for an HOA board. Choosing local gives you one more layer of protection in case something should go wrong on the job. We have all heard stories about storm chasers moving into an area that has been hit by major storm damage. Many times these are good contractors just going where the work is, but not always. 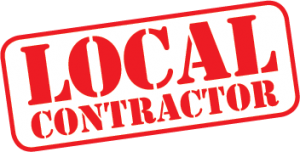 Choosing a contractor that is out-of-state can make your job harder if you need to escalate in issue and take them to court, for example. They’re simple harder to track down and get back to your state to attend the court dates. With a local contractor you’ll also have the benefit of checking references of other local businesses that have used them. In fact, you may even has some personal connections to those referrals which would make them even better. Buying local keeps money in your community. The more businesses can rely on each other for service, the more we all grow our local economy. Buying local helps you in all kinds of ways. Association Reconstruction has worked with many local HOAs. We’re proud of our reputation and would be happy to sit down and discuss further. Are You Replacing Your Roof or Siding? Inspect for hail or wind damage first! Project Supervision On Every Job! What is insurance claim appraisal?